The normal goal of a commute trip is to minimize total time. But if you are bicyclist you are also concerned with conserving energy or retaining momentum. 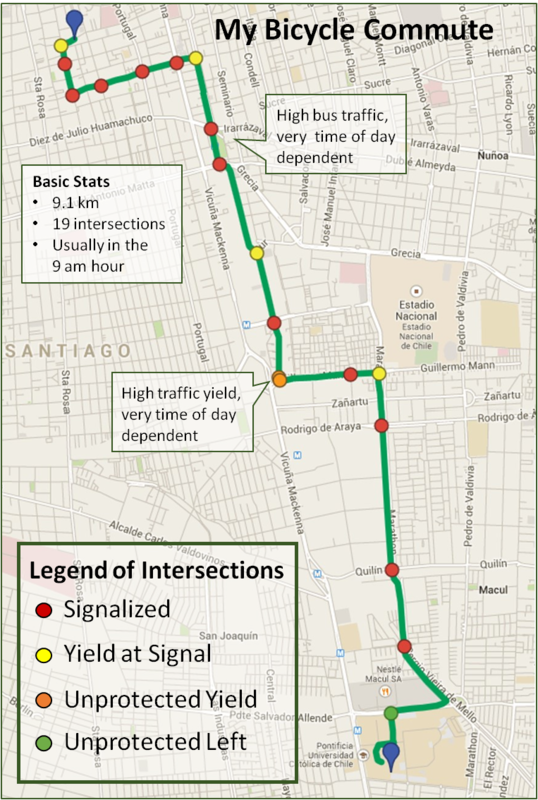 Since traffic signals are not coordinated for bicycle speeds (or at all) I have developed a system of adjusting my riding speed between each signal to minimize time stopped. What I call the bicycle game started with counting the number of times I put my feet down, but evolved into a serious data collection effort. Everyday I record the total trip time, riding time, average riding speed, start time, and distance. The following graphs compare each of the indicators for each strategy. 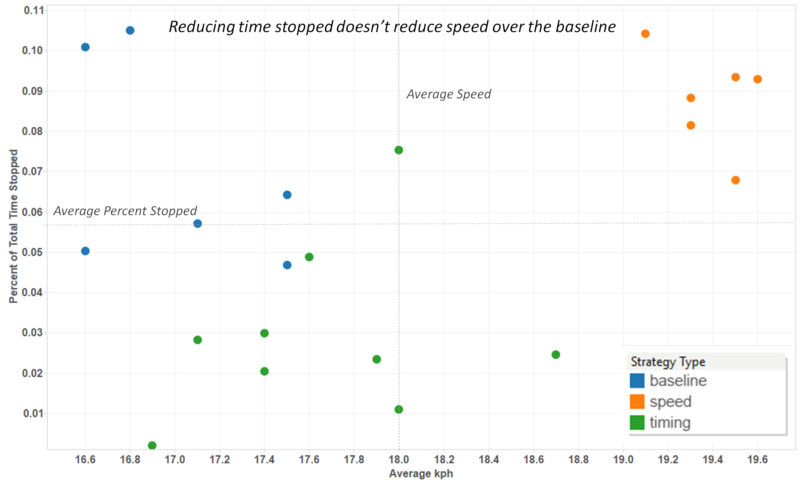 While more data is needed, it is clear that while the timing game has produced the best individual results (shortest time and an almost zero stopped time commute) it has a large variance. So either I am not that good at it or there are too many factors out of my control (start time doesn’t seem to have a noticeable impact). 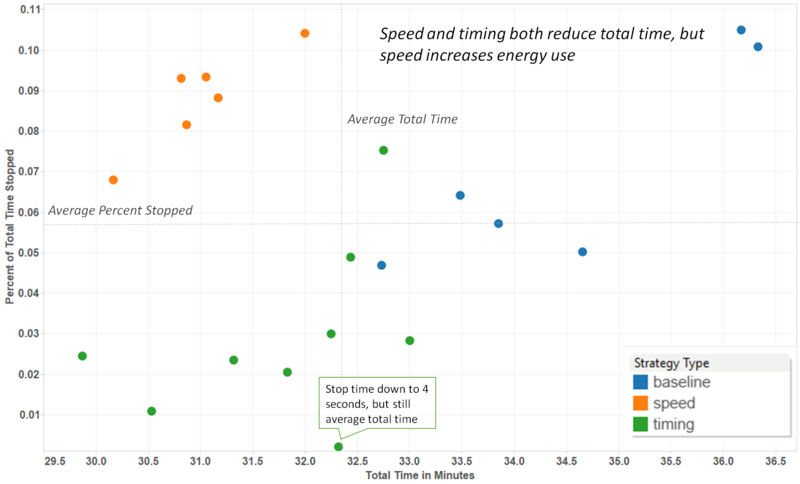 Riding fast is the most reliable method to minimize total time, but it results in a lot of wasted energy. 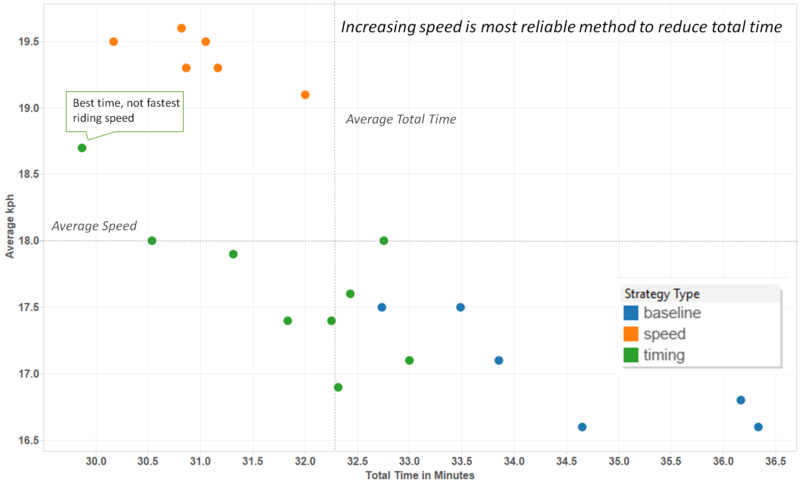 Some combination of speed and timing is the most optimal solution, but it might be almost impossible to reliably replicate due to all of the outside factors.